It’s pretty easy to fall head over heels for The Dune Flowers. From their sweet Christmas cards to their quirky bathroom pics, they’re the ultimate boys next door. A band full of old souls, Tyler Drager (vocals/guitar), Oscar Schoenfelder (vocals/guitar), George Turner (bass), and Jeffrey Gilman (drums), seem like the type to buy you flowers and call you darlin.’ Relocating to Nashville after the release of their debut album Lookin’ Fine, Double Yolk fuses southern twang with their clean cut rock n’ roll. Blasting it in your ‘57 chevy or playing in the background of a retro romance movie, “Feel Better” is all milkshake dates at the diner and waiting beside the landline for a call that won’t come. A reinvented version of “Build Me Up Buttercup,” the song swoons with unrequited love and melts your heart lyrics like ‘she feels alone in this world of her own so I try and take out the grey.’ Another lovesick little ditty, “Blue,” embodies good ol’ fashioned southern rock n’ roll. A song with soul, the bouncy riffs make you want to dust off your cowboy boots and dance at a small town honky-tonk. Ending with “Goodbye,” The Dune Flowers diverge from their usual loose and love drunk style. Instead the moody piano and ominous repetition of ‘goodbye my friends’ paints a somber scene. Trapped in one of those rare times when you realize how much you’re going to miss something before it’s even gone, they create a nostalgia that hits you while you’re still in the moment. 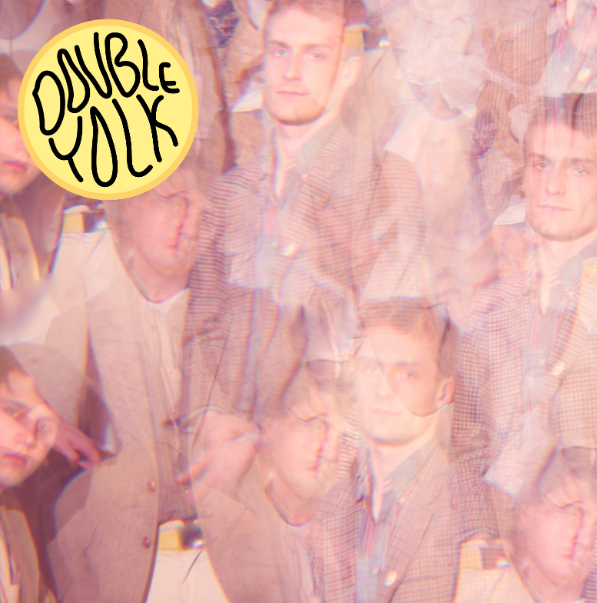 Double Yolk makes you feel like you’ve gone back in time and been given the opportunity to discover the classics for yourself. Belonging amongst bands like The Kinks and The Beach Boys, you can’t help but imagine a whole new wave of Beatlemania breaking out for these boys. Flipping through radio stations and breaking out ‘45’s, The Dune Flowers will have you feeling like some teenager in the 60s getting hooked on rock n’ roll for the very first time.